Italian-Canadian mezzo-soprano Emily D’Angelo was most recently a fellow at the Ravinia Steans Institute in Chicago (2015). She has studied at SongFest at Colburn (2015), the Centre for Opera Studies in Italy (2013, 2014), the Halifax Summer Opera Festival (2014), and the Boston University Tanglewood Institute (2012). Operatic roles performed include Sesto in Handel’s Giulio Cesare, Nerone in Monteverdi’s L’incoronazione di Poppea, Annio in Mozart’s La clemenza di Tito, and Berta in Rossini’s Il barbiere di Siviglia. Emily has received numerous awards and honors including a 2015 Encouragement Grant as a finalist in the Gerda Lissner Foundation Lieder/Song Competition in association with the Liederkranz Foundation, the 2015 Jim and Charlotte Norcop Prize in Song from the University of Toronto, and has recently been named a Finalist in both the Mary Truman Art Song Vocal Competition of the Art Song Perservation Society of New York, which will take place in March 2016, and in the OREL Foundation Ziering-Conlon Competition in Los Angeles, which takes place in December 2015. Emily was invited by Carnegie Hall’s Weill Music Institute to participate in “The Song Continues” workshop with Marilyn Horne, Stephanie Blythe, and Sir Thomas Allen, which will take place in January 2016. She was also awarded First Place at the Toronto Kiwanis Festival (2014, 2015), the Ontario Kiwanis Provincials (2014), and the NATS Voice Auditions Finals (2012). She is the recipient of several scholarships at the University of Toronto, including the Women’s Musical Club of Toronto Centennial Scholarship (2015), the University of Toronto Scholar Award (2015), the Luciano Pavarotti Scholarship (2014), and the Irene Jessner Scholarship (2013). She was the 2015 recipient of several scholarships from the Ravinia Steans Insitute, including the Fanny R. Simmonds Memorial Fellowship, the Dan Saslow Fellowship, and the James Sassower Memorial Fellowship. In September 2014, she was the youngest singer invited to sing in the 50th International Vocal Competition in ’s-Hertogenbosch, where she was selected to perform in master classes for both Dame Kiri Te Kanawa, and Siegfried Jerusalem. Past credits include master classes with Russell Braun, James Conlon, Joan Dornemann, Martin Katz, Libby Larsen, Susanne Mentzer, Wendy Nielsen, Timothy Noble, Nathalie Paulin, Steven Philcox, and Dawn Upshaw. Emily made her solo debut with the Toronto Symphony Orchestra in 2011 under the baton of Alain Trudel. She made her solo debut with the Greater Toronto Philharmonic Orchestra in October 2014 under conductor David Fallis, and returned in February 2015 as guest soloist under the direction of Jean-Michel Malouf and William Rowson. In recital Emily has presented at the Toronto Arts & Letters Club (2015) as a part of their Music Wednesday series with pianist Pierre-André Doucet, at the Recitals at Rosedale Series (2014, 2015) with pianist Rachel Andrist, and in Chicago with pianist Jooeun Pak on WFMT Classical Radio Station (2015) through the PianoForte Foundation and the Ravinia Steans Institute. 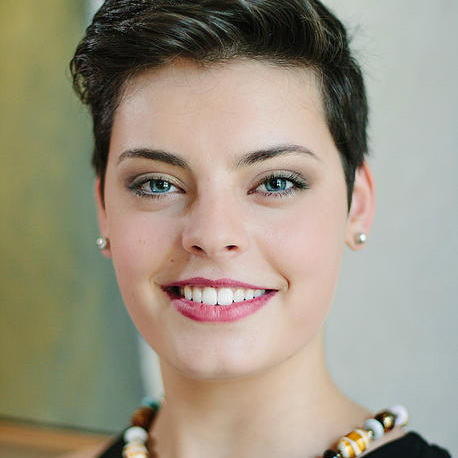 Emily is currently completing her undergraduate degree in Vocal Performance at the University of Toronto, studying under soprano Elizabeth McDonald.